Mention the word scales and most of us cast a furtive look in the direction of the bedroom cupboard where the dreaded machine is stored … surely that triple chocolate sundae couldn’t have been that bad!! So, you ask, what does this have to do with nature and the environment? the answer, nothing! As is the case with so much of the English language this is a classic example of where one word can have incredibly disparate meanings. The scales I am referring to you see have nothing to do with weight measurement and everything to do with water-proofing, protection, movement, thermo-regulation and camouflage. 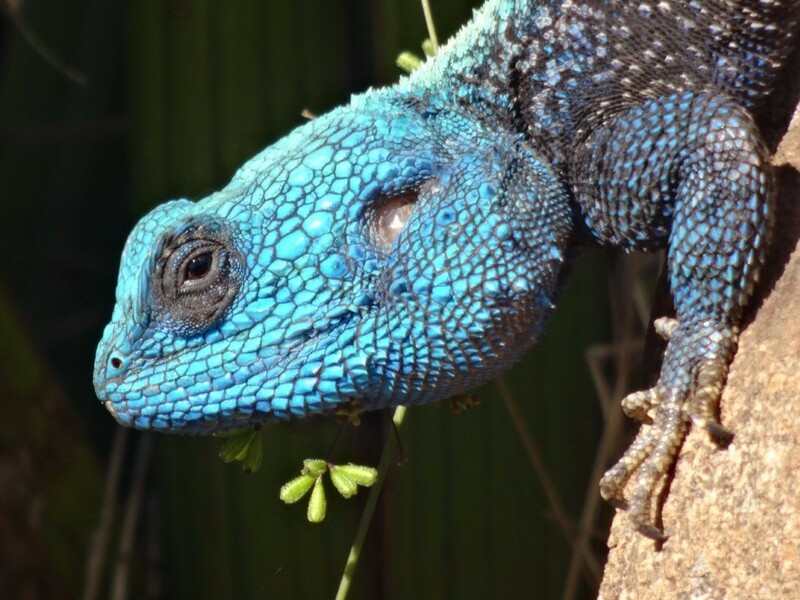 Scales are one of the three most common body coverings in animals – the others being fur and feathers – but, unlike the latter two, scales have convergently evolved (i.e. they have appeared independently in different, unrelated species) many, many times. Take fish for example; their scales are created from the middle layer of the skin (the dermis) and have a soft inner called pulp. On the other-hand reptile scales are derived from the topmost layer of the skin (the epidermis). Like human fingernails, rhinoceros horns and pangolin scales, reptile scales are made of a strong protein called keratin. After collagen (the substance that gives skin its elasticity and is a key component of all connective tissue) keratin is the most important protein in nature. Whilst on safari – certainly one including any of Africa’s major rivers – the Nile crocodile (Crocodylus niloticus) is frequently seen sunning itself on the sandy banks. An apex predator, this animal has been shown to have the most powerful bite of any creature on the planet – a jaw dropping 5,000 psi! (by way of comparison an average human bite is a mere 70psi). They are also covered with an impressive array of scales. Along their back are scales containing bony deposits called osteoderms. These ‘reinforced’ scales provide a form of armour that protects the delicate inner organs from injury, especially during fights with other crocodiles. They are also equipped with a rich blood supply that transports heat back into the body whilst the crocodile is basking. The vertical scales on the tail are hardened but do not contain bone. Their presence substantially increases the surface area of the tail and hence facilitates swimming efficiency (think flippers versus feet). The scales covering the head are very thin, relative to those of the rest of the body, and those along the sides of the jaws possess sensory pits. These pits contain bundles of nerve endings and are involved in the detection of movement or vibrations in the water. Another scaly creature you may find on your travels is the cute Tropical House Gecko (Hemidactylus mabioua). These nocturnal, eyeball-licking lizards (they do not have eyelids so clean their eyes by licking them instead) also have truly amazing feet. Many, although not all, gecko feet have toepads (scansors) consisting of setae (modified hair-like scales). Each of these fine setae has hundreds of even smaller structures called spatulae protruding from their ends. Each projection provides a miniscule adhesive force called van der Waals, which operates only over tiny distances but bonds to just about anything. Since geckos have millions of these modified scales on each foot, their combined adhesive force is hundreds of times greater than the amount required for a gecko to walk on the roof over your head without dropping in on you! Another equally extraordinary property of these setae is that they appear to be self-cleaning, and are both hydrophobic (water repellent) and able to shed dirt particles during normal function. As a result, and unlike my infernal vacuum cleaner, they never get clogged up and stop functioning. And finally, a mammal that only a very few, fortunate people get to see, the Cape pangolin (Smutsia temminckii). Pangolins are almost completely covered in overlapping, protective scales constituting about 20% of their body weight. When threatened these unique animals – which look more reptilian than mammalian – curl up into a tight ball to protect their unscaled belly. Since the scales are appended to the skin, not the skeleton, and are attached only at one end, when rolled up the pangolin is surrounded by a shield of razor-sharp edges. Sadly, however this ‘barrier of spears’ has not proved any match for human greed and ignorance such that Pangolins are now the most trafficked animal species in the world. So, when weighed in the balance, it seems that the development of scales – along with leathery-shelled, impermeable eggs – allowed one small step for reptiles but one giant leap for animal-kind – and one from which, through biomimicry, we can still learn much today … but more of that next time.